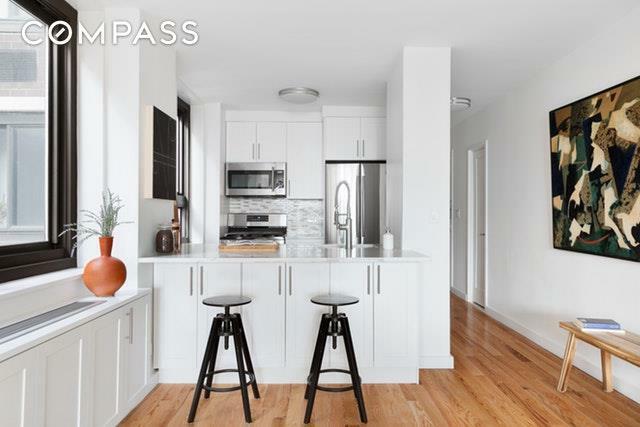 Brilliant light, expansive views, private outdoor space and serenity can all be found in this newly renovated jewel box perched on the 25th floor of the Colonnade, a full-service luxury condominium located on the famed "Billionaires Row. 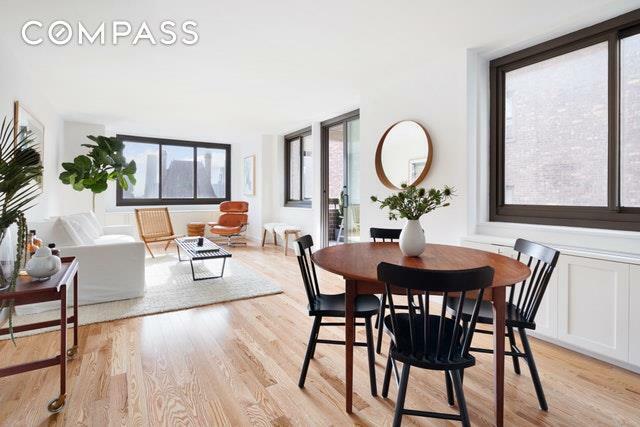 Residence 25F is a gracious one bedroom, 1.5 bathroom home with a massive combination living/dining room that extends on to the large private balcony. While entertaining in both the living room and balcony, your eyes will be immediately drawn to the spectacular sunsets, through the open city skyline, all the way down to One World Trade Center and the Statue of Liberty.The home has just undergone a complete renovation with new upgrades including a custom kitchen with quartz countertops and stainless steel appliances, elegant marble bathrooms, beautiful hardwood floors, new doors, fixtures and clever storage solutions have been created throughout the home. The Colonnade is a full service luxury building with amenities that include a 24 hour doorman, Sky Lounge on the 31st floor, a renovated gym and laundry on each floor. 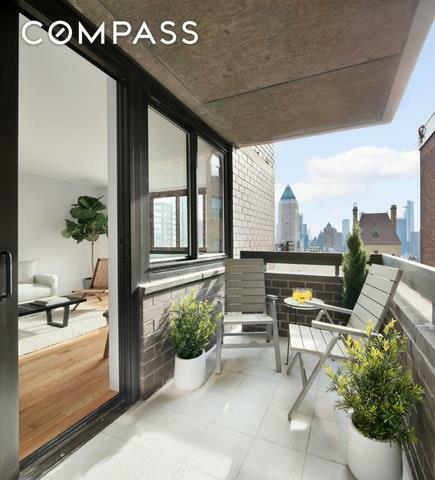 The condominium is conveniently located a short distance from Central Park, Time Warner Center (Whole Foods, Equinox and high-end designer stores), Carnegie Hall, Lincoln Center and the bright lights of Broadway! Call us today for an exclusive viewing! Listing courtesy of Guy Abernathey of Compass.